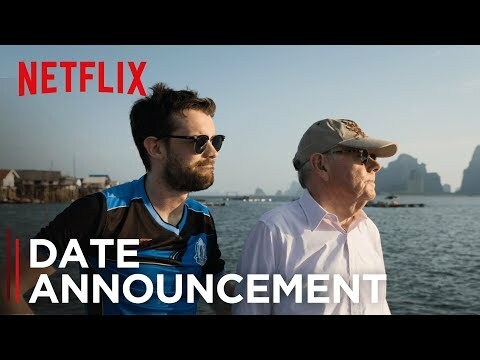 Netflix has released the first trailer for Jack Whitehall's new travelogue with his dad, Michael. In Travels With My Father, the pair set off on a journey across South East Asia to partake in a series of adventures, mishaps and escapades. Over the six half-hour episodes the Whitehall sample typical South East Asia gap year activities such as yoga, a full moon party and visiting a community where the women are in charge. The programme launches on Netflix on September 22.